College of Law cooperated with College of Mass Communication in organizing a lecture about personal status in accordance to Federal Law No. 28 of 2005. H.E. 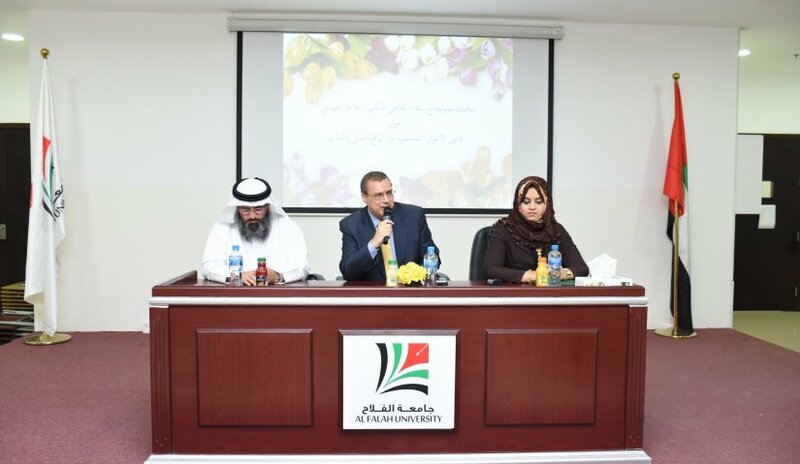 Judge Dr.Jassim Al Hosani, Judge of Appeal, Dubai Courts delivered the lecture attended by students and AFU faculty members. During the lecture, Dr. Al Hosani pointed social media’s influence on family relationships in the United Arab Emirates including topics of marriage and divorce. Participants asked questions about the topics discussed towards the end of the lecture. Al Falah University seeks to organize more seminars, lectures and workshops dedicated to relating theories into practical applications.